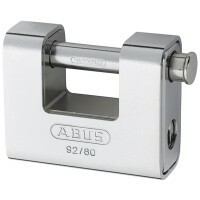 Abus 82/70 Monoblock Shutter Padlock Features Overall width 70mm. 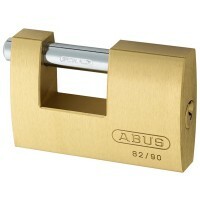 Overall height 50..
Abus 82/63 Monoblock Shutter Padlock Features Overall width 63mm. 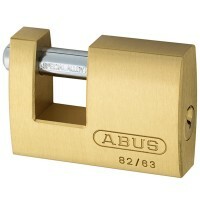 Overall height 45..
Abus 82/90 Monoblock Shutter Padlock Features Overall width 90mm. Overall height 60..
Abus 92/80 Monoblock Shutter Padlock Features Overall width 78mm. Overall height 65..
Silverline 792082 Armoured Shutter Padlock Closed Shackle Features Size 91mm. 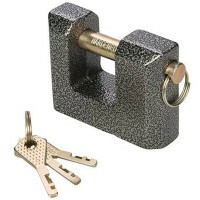 Close..
Silverline 675169 Cast Iron Shutter Padlock Features Size 80mm. 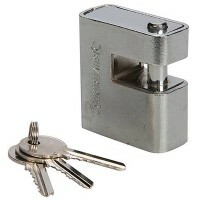 Rotating shackle pr..
Abus 82/70 Monoblock Shutter Padlock Keyed Alike Features Overall width 70mm. 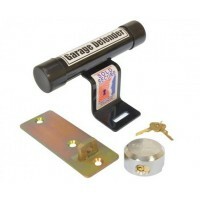 Overa..
Master Lock Garage Door Defender Lock Features Protects up and over garage doors. S..